The ECOffin is a strong, sturdy but lightweight coffin which has been developed to meet the needs of those who want an ecologically friendly casket. It has been accepted by the National Environmental Agency for cremation and burial. Construction: ECOffins are made of corrugated cardboard with a reinforced base. The ECOffin is designed with structural rigidity to protect the corners from accidental tears. Load Strength: ECOffins have been load tested and can carry a weight of 150kg. 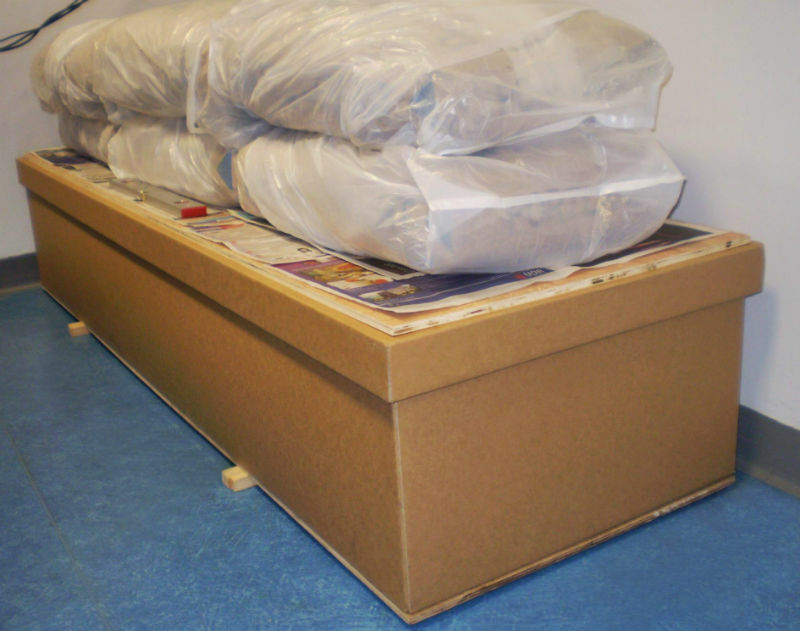 Up to 300 kg of load can be placed on top of the ECOffin allowing for stacking of coffins in emergency situations. The ECOffin has been load tested to ensure its reliability. After 52 days of bearing 300kg, the box maintained its structural integrity. Load tested for 52 days with negligible vertical deflection.